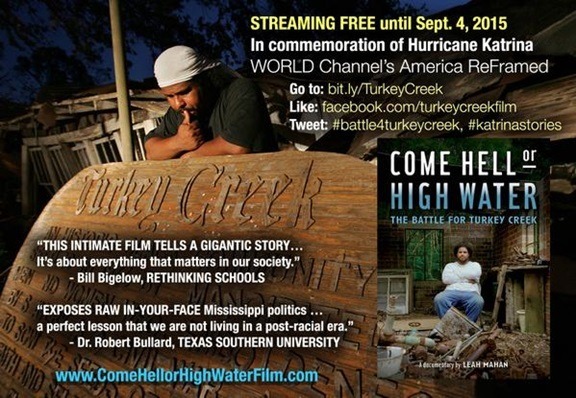 In recognition of the 10th anniversary of Hurricane Katrina’s strike on the Gulf Coast, NPQ would like to recommend this sadly overlooked documentary, Come Hell or High Water: The Battle for Turkey Creek, which is being streamed for free until the end of next week. The documentary weaves a number of stories—environmental justice, development politics that are anything but post-racial, and the power and personal cost and payoff of successful social justice organizing—into a moving, powerful whole. New Orleans’ experience should give Houston a lesson on some things not to do when rebuilding.